Strengthens language reading, listening and pronunciation skills of children aged 3 to 9 years. 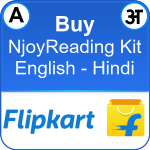 Each kit includes bus shaped reading device and set of audio enabled paper books to learn English and mother tongue (Hindi or Telugu). 100% child safe design with child safe components used - proud to be "Made in India" product (patent pending). Child friendly design, robust and in-built speakers. Extremely simple to use - place the book on the kit, press visual indicators marked on the book and learn while having fun. The kit responds with the appropriate sound, music and light. Content designed by pedagogy experts based on fun and learn methodology. Each book starts with a short moral story followed by learning concepts and simple learning activities - loaded with engaging pictures, sound, music and effects. Books are categorized according to various learning levels – starting with akshar, barahkhadi, simple words without matra, words with matra, short sentences and long sentences. 300+ learning activities that engages children to keep them learning for hours, while having fun. Works on 3 AA batteries (not included) - consumes extremely low power (e.g. 1 hour of usage per day require one recharge in a month using three 2800mAH rechargeable batteries). 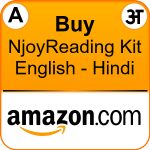 For Individual Users: NjoyReading kit with 10 books is available at Amazon and Flipkart. Additional set of books can be purchased at an extra cost. For Schools: A premium version of NjoyReading kit with 30 books, bluetooth interface, memory to log usage data and an Android app is available. 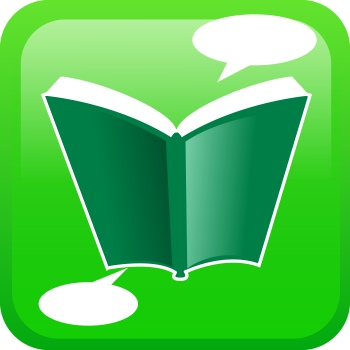 In this version, the interaction of students with the books is recorded within the kit and can be extracted over smartphone for usage and impact measurement using an Android App, NjoyTeaching, provided by us. This Android app for teacher's smartphone also has in-built digital content and verbal tests to measure the early grade reading levels. Using bluetooth interface, this Android app can be connnected with the kit to extract usage data from the kit and upload to the cloud. Our back-end cloud analyzes the data and generates students learning as well as kit usage reports at District, Mandal, School and Students level. This school version of the product is available on a bulk basis. Please email us at partners@bodhaguru.com for more details. Learning should be simple, engaging and filled with practical examples. Isn't it? 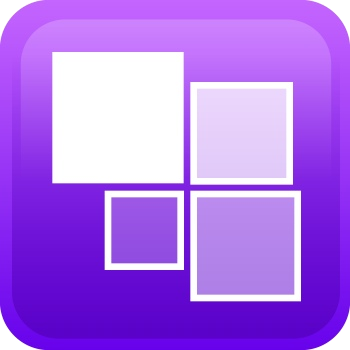 NjoyLearning is an Android/Windows app with a set of K-10 content - including short story videos, animated concept videos and a set of interactive content (including interactive animated books, practice activities, quiz and 360 degree walk-throughs). For primary class students, NjoyLearning includes Maths, Science, English and Telugu subjects - with video dubbed in English, Hindi and Telugu languages. For high school students, NjoyLearning includes Maths, Physics, Chemistry and Biology subjects - with video dubbed in English and Hindi languages (Telugu is under development). "Stories and practical examples are the easiest form of understanding any concept". Hence, fundamental topics start with an animated story that introduces the topic in a subtle way while re-enforcing values in the children (e.g. moral values, financial values, ecological values etc.). 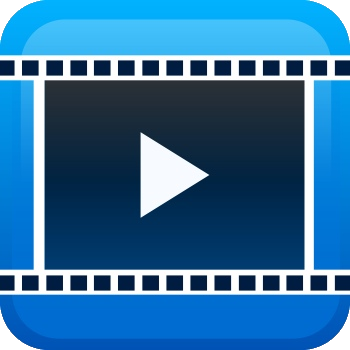 The subsequent detailed videos build on the story and explain the concept in a step-by-step way - with the primary focus on applicability of knowledge. The interactive books with pictures, sound, animation and text makes language learning easier and fun. The thoughtful interactive quiz helps the children to build critical thinking skills. Most of the questions are based on real life scenarios making it easier to understand, solve and apply the knowledge gained. A set of interactive apps and 360 degree walk-throughs lets children explore and practice the concepts. The content is mapped to NCERT, CBSE and Telangana/AP boards. For in-class room teaching within primary and high schools, the Android version of the app along with offline content (in 64 memory card) is available along with an Android set-top box or Android projector. It is also available on a pen-drive option for your Windows PC. This school version of the product is available only on a bulk basis. This solution is already running in more than 6000 schools. Please email us at partners@bodhaguru.com for more details.